The Waverley Story Books for Children have simple words that stand alone in very large text, which encourages young learners to focus on the words of the story before appreciating the pictures of the story’s adventures. The illustrations tell sweet, imaginative stories that really draw children in, and the simple language and rhythm encourages them to follow along. Moving from lap reading to independent reading is a source of great pride for many beginning readers and I hope you and your little one enjoy these books as much as mine did. 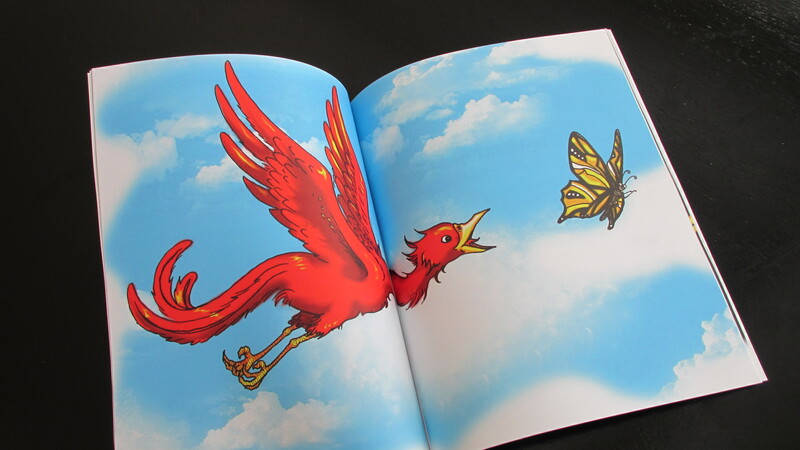 This is a bright, vibrant story about a globe trotting Butterfly and the Bird hot on his tail. Across atolls and volcanos, reefs and deserts, action words, sound words, and luscious illustrations, this story has been popular with readers of all ages. Kitty van Oosten is a self-taught illustrator and graphic novel artist, who obtained a degree in English Language, Literature and Culture from Leiden University before studying English Creative Writing at the University of Edinburgh. She currently teaches English at Tio University of Applied Sciences in the Netherlands. In her leisure time she writes and illustrates fiction, and hopes to publish her first novel in the near future. All titles are available on Amazon and through our Etsy shop. The Lazy Rooster doesn’t want to get up and crow – what happens? Nothing! No food, no work, no morning. What’s the farm to do? 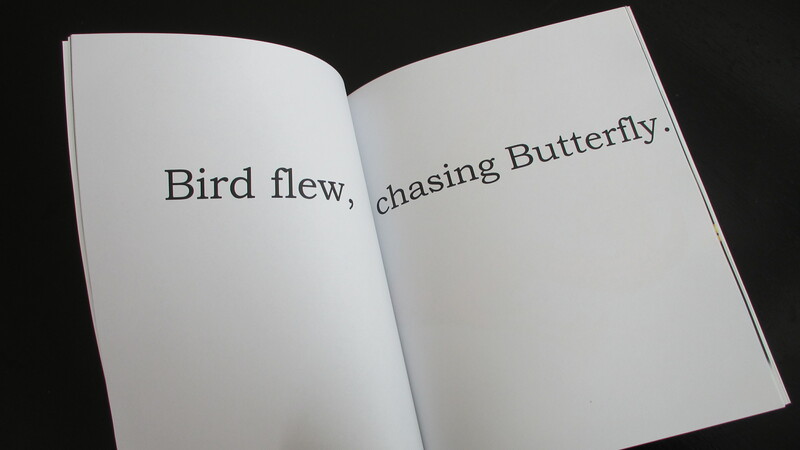 Find out in this wonderfully simple, yet inventive book. Charlotte Moody lives in Dallas with her pup, Popcorn, and husband. The Hugging Sea tells the story of a boy and his turtle, who share hugs at the edge of the sea – and return to find them many years later. This sweet story separates the text from the illustrations, which encourages your pre-school reader to focus on the text and to love the art in turn. Meant for beginning readers from infants onwards, the Waverley Storybooks for Children use whole word learning combined with professional, artistic illustrations, beautiful enough for parents and very small readers to enjoy together. We want to play, but Indy the dog has other ideas. Can you find him? Perfect for the youngest readers, this book is bright and cheerful, and the text is separate from the illustrations to help your child focus. A simple, sweet story to enjoy with your little one! Thomasson Burgess is currently a student at the University of North Carolina Charlotte, studying art education. She hopes to teach for a few years and then go into art therapy. This is her first book. Where does love live? Under ground, in the sea, up trees…and between you and me. That’s the message of this sweet new story. A wonderful bedtime treat, cuddle your wee bunny as you read this story book together. Jenny Moodie is a self taught artist/illustrator, who has been drawing since she could hold a pencil. Jenny has a degree in multi-disciplinary design from Edinburgh Napier University. She currently splits her time creating artworks and wire jewellery to sell at local fairs and exhibitions and works in the events design and production industry. She creates her artworks using a simple graphite pencil and colours them with digital overlays. “We see a beautiful tree. I kiss you and you kiss me” begins this poignant story about friends and loved ones who kiss beneath a special tree. Their kisses flutter up and blow away, but find the kissers again. A simple, sweet story for that special child in your life. Dr. Amanda Stanford earned her PhD in English Creative Writing from the University of Edinburgh. She has taught writing and English classes for seven years in the US, Mexico, Japan, and Egypt. Having taught toddlers in Japan (as well as her own daughter) to read, she is an active baby/toddler education advocate. Gemma Stuart grew up near the sea in Edinburgh, Scotland. She has a degree in Illustration from Edinburgh College of Art and currently enjoys illustrating her own short stories. She participates in several local events, where she sells her art directly to the art-loving public.